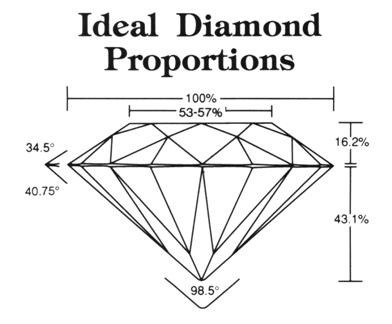 The measurement and comparison of diamond color ranges from colorless to slightly tinted. 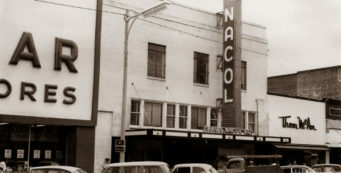 However, discerning the subtle differences between sequential color grades can be almost impossible with the naked eye. For this reason, a letter scale, such as the GIA professional color scale which ranges from D to Z, was created to assist in distinguishing a diamond’s color grade. 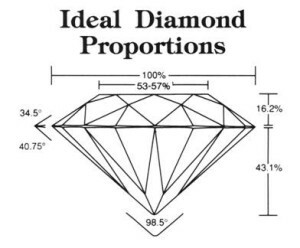 Diamonds that are in the “D-F” range are considered colorless. These diamonds are rarer and more expensive. 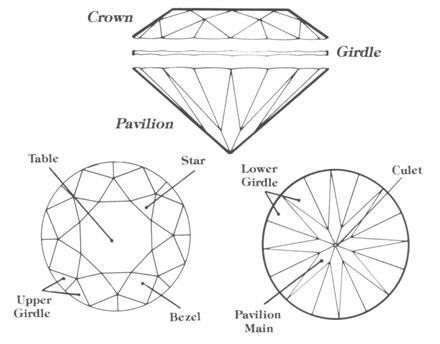 Diamonds in the “G-I” range appear completely white to most observers and for this reason can be a better value than colorless diamonds. Color grades beyond “J” exhibit a yellowish or brownish tint, which is increasingly discernable by the untrained eye as you approach the extreme end of the spectrum. 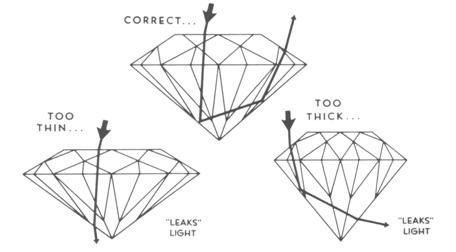 Essentially, the clarity grade describes the flawlessness of a diamond; the fewer the imperfections, the higher the clarity grading. Naturally, these imperfections have an impact on the value of a diamond, particularly those that may be viewed by the naked eye. 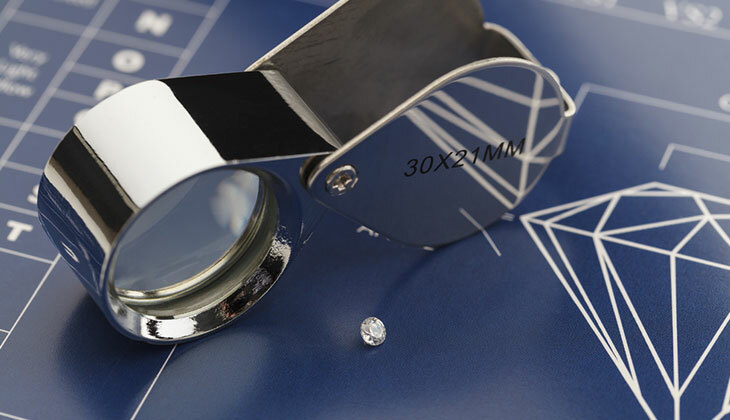 In order to find and plot a stone’s flaws, gemologists use at least 10x loupe magnification when grading for clarity. Clarity grades range from Flawless, which are diamonds that reveal no imperfection even under 10x magnification, to Imperfect 3, which are stones with distinct blemishes visible to the naked eye. FL / IF: Flawless or Internally Flawless. VVS1 / VVS2: Very, Very Small Inclusions. Requires 60X magnification to clearly see inclusions. VS1 / VS2: Very Small Inclusions. Requires 30X magnification to clearly see inclusions. A good choice for those wishing to balance quality and affordability. SI1 / SI2: Small Inclusions. Typically requires 10X magnification to clearly see inclusions. In larger carat weights, SI diamonds sometimes reveal their inclusions to the naked eye. Nonetheless, as long as you are careful to consider each stone individually, you can often find the best value in an SI1 or SI2 diamond. I1: Imperfect. Eye-Visible Inclusions. Often a popular choice for earrings or pendants, as these items are generally scrutinized less than diamond rings. Also a popular choice for those shopping on a budget. I2 / I3: Imperfect. Not recommended for any practical jewelry application.